Are you a Neverwinter expert? Do you like to make words about Drows? Do you realize “Drow” is “word” spelled backwards? 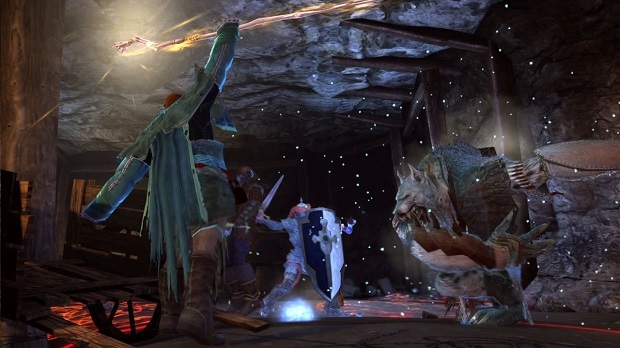 If so, you could win a Dragonborn Legend Pack by entering the Neverwinter Wiki Editing Contest! From now until Jan. 15, Perfect World Entertainment, in cooperation with Gamepedia, is inviting players to update the Neverwinter wiki. Three lucky editors will receive a gift pack containing 12 items, including the Dragonborn race, an extra character slot, and several in-game items. The official contest description say that the winners will be selected based on “each user’s contributions” to the Wiki; whether that’s for quantity or quality is uncertain. Still, it’s a good chance to show off your knowledge and win some loot for it. They should “beef down” the p2w first.